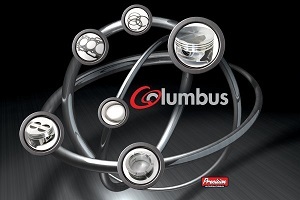 Columbus was built in Visual Studio .NET 2003 and was originally designed to be distributed to customers via CD. A new install was created every quarter with the current parts and prices. From its first release it became the most popular parts catalogue in the industry and was usually the first place Engine Re-conditioners would use to source their parts.